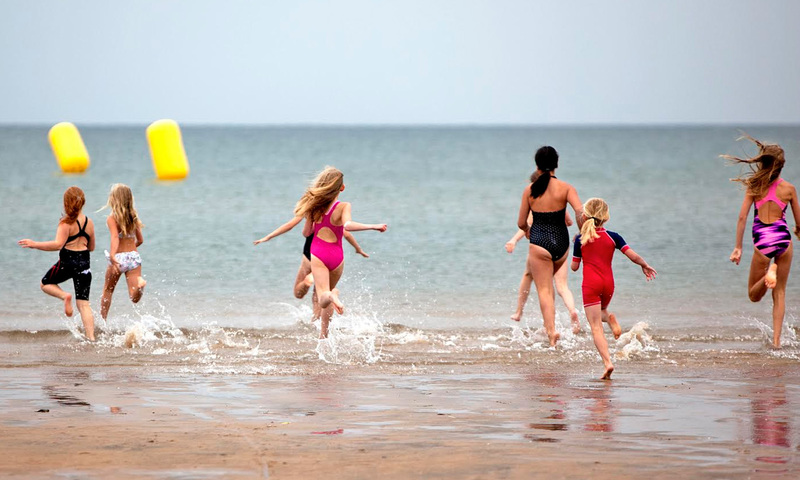 A children’s Aquathlon & Swim event will take place in both Stockholm and Tylösand. Focus is on participation rather than competition. The children and adults will be able to test their swimming ability, which includes a plunge into the water and a 200 meter Open Water Swim, of which 50 meters is backstroke. 1. Jump or dive into deep water. The head should go under the water. 2. Dive from the surface and swim under water. 3. Change from vertical to horizontal position. 4. Be able to swim in breast position and supine. 5. Effectively be able to breathe while swimming a certain swim stroke. 6. Be able to roll over from breast position to supine position, and vice versa. 7. Be able to turn to the left and right in both breast and supine position. 8. Stop and rest without touching anything. Sport Hälsa #1, Preparing for open water swimming in Tylösand and Djurgården. Sport Hälsa #2, Open water swimming, tips from Tylösand and Djurgården. Sport Hälsa #3, Open water swimming, Navigation, Tylösand and Djurgården. Sport Hälsa #4, Open water swimming, Swim start, Tylösand and Djurgården. Sport Hälsa #5, Open water swimming, drafting, Tylösand and Djurgården.